On Tuesday morning, I set off bright & early to the awesome Somerset House, with excited anticipation, ready to hear Dulux announce their Colour of the Year for 2015. Dulux have a team of mega qualified colour gurus who reference huge amounts of global research, not only in design, but also in society in general, in order to select predictive trends for interiors for the coming year. The trends for 2015 were beautifully styled in 3 room sets, with paint effects by the wonderful Marianne Shillingford, Dulux Creative Director (she is the most amazing lady, paint guru and goddess of all things colour). 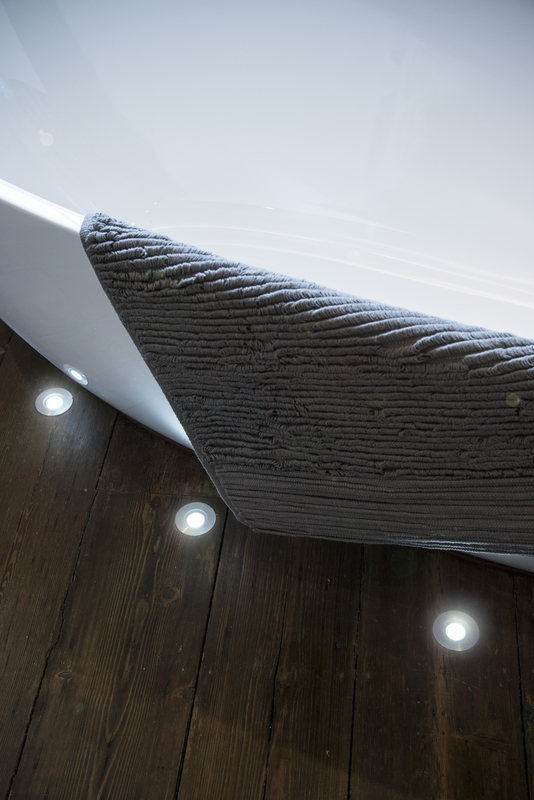 The design concepts where further bought to life in a showcase of finishes from Material Lab. I definitely spotted a couple of surfaces to slip into a scheme soon. 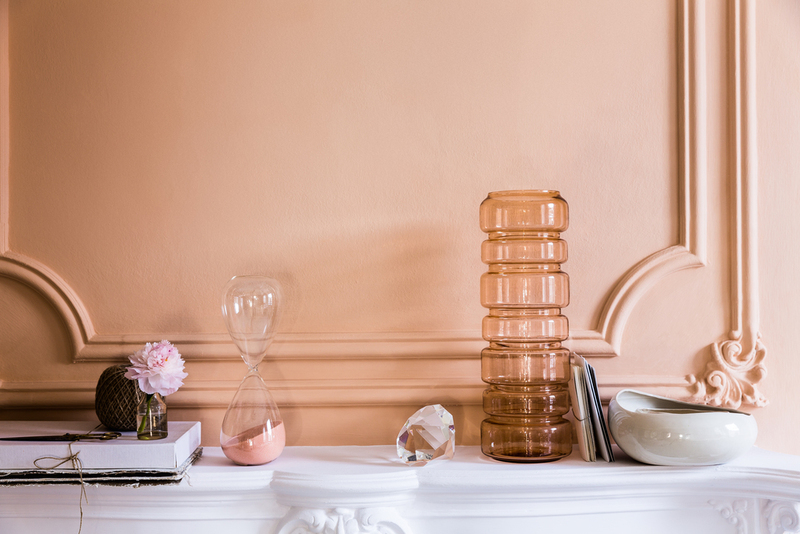 And so, I shall keep you in suspense no more (unless you follow my instagram and twitter accounts in which case you already know)... the DULUX COLOUR OF THE YEAR 2015 IS....... COPPER BLUSH. Rebecca Williamson, Senior Colour Design & Content Manager at Dulux, said of the choice: “All research points to this orangey, coppery tone, as witnessed at global events from Stockholm and Milan to Shanghai, metallic colour tones are playing an increasingly important role in modern design. Great on its own, the colour also combines perfectly with pinks, neutrals, whites and other orange hues, as well as metallic colours such as gold. 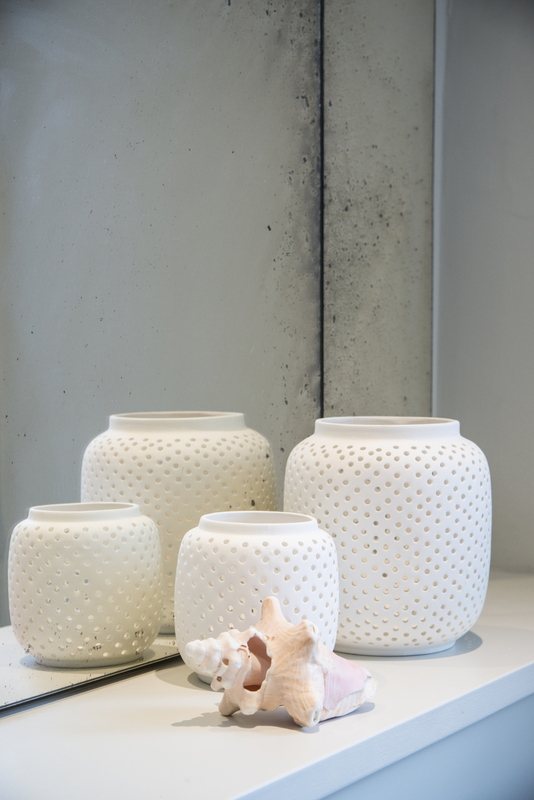 It also beautifully complements wood tones and can be brought to life by flesh pinks and earthy tones of clay”. Isn't it just lush? This little colour trend has been a personal friend to me for a while now (copper and pink - really, what is not to love) and I'm so happy it has pushed it's way to this title. I think it looks gorgeous teamed with deep dark blues or maybe deep turquoise for extra cosy-ness, then add some tiny pops of mint and a little touch of light pink (obvs), plus of course plenty of shiny copper. If you want to see a little film with me styling a kitchen with coppers and pinks earlier this year, you can do so in my news section. Let me know what you think of Copperblush. All photography courtesy of Dulux. There is so much creative loveliness to take in on this information super highway - sometimes I just wish I could fast track it all into my brain. Well I think I have the answer - time lapse photography! This is a shoot done at the workshops of Out of the Dark, for the furniture collaboration we have created together. The warehouse full of "before" furniture, provided the perfect backdrop for our range, bought back to life in glorious jewel-like velvets. My sh-amazing photographer, Paul Craig helped to create atmospheric shots to really evoke the nature of these pieces - bringing furniture out of the dark and into colour! You may like to also watch my time lapse of styling the Brink stand at Tent last year and some luxury apartments in Gloucestershire. If only Friday afternoons would go this quickly! Happy weekend. All photos at the end of the time lapse are C. Paul Craig.